Is your wedding day 1-3 short months away? Don’t worry; we can still help you achieve your fitness goals. Our one-on-one training makes use of every moment that you’re here, using targeted exercises that help build lean muscle. These exercises are specifically tailored to YOU, helping you become toned faster. We confidently guarentee amazing results! The wedding may be 6+ months away, but you’ll be plenty busy preparing for it. As a result, it’s easy to not make enough time for your health and fitness. 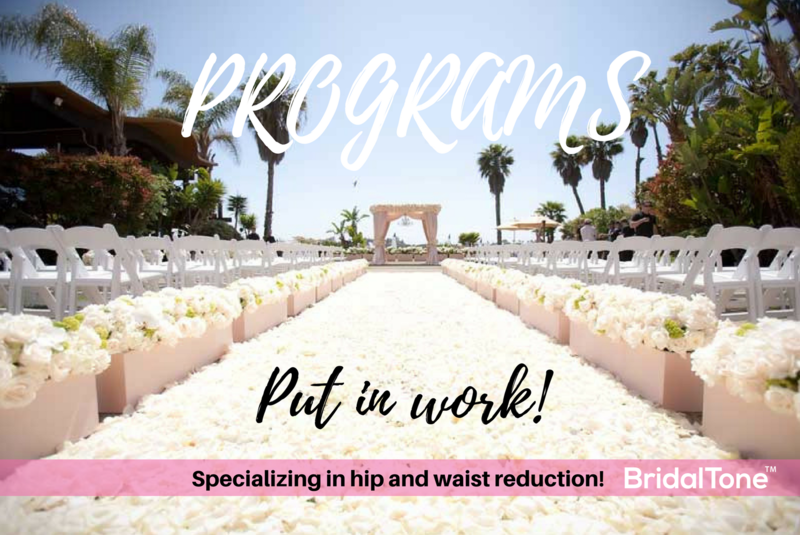 Our six-month training program provides a scalable workout regimine- guarenteeing optimal results by the end of your program. We offer nutrional guidance for every client. However, If you want to take your training to the next level, our customized meal plans are for you! By analyzing which foods are the most effective for YOUR body, we will tailor your nutrition plan to help shape your desired physique. By simply eating the foods your body needs, as well as avoiding the ones that tack on unwanted body fat, we can help you stay tone up and build lean muscle. If you’re tired of fad diets that don’t work, our custom meal plan is the right choice! Your meal plan can be added to any training package for a minial charge. Achieve guarenteed results that you deserve FASTER!